Xiaomi Mi A2 (Review) arrived in India this week, while Samsung unveiled its much-anticipated new phablet flagship – the Galaxy Note 9. Online marketplaces Amazon India and Flipkart had their ‘Freedom’ sales ahead of India’s Independence Day, while Google launched the stable version of Android 9.0 – and called it Pie. Huaweisub-brand Honor brought its gaming focused Play smartphone to Indian shores, and Epic Games finally revealed when and how the Android version of its popular Fortnite game will first become available. Microsoft also brought the Surface Book 2 and Surface Laptop to India. These were just some of the tech news highlights of the week past, so stick around, we’ve got more for you in this weekly roundup. 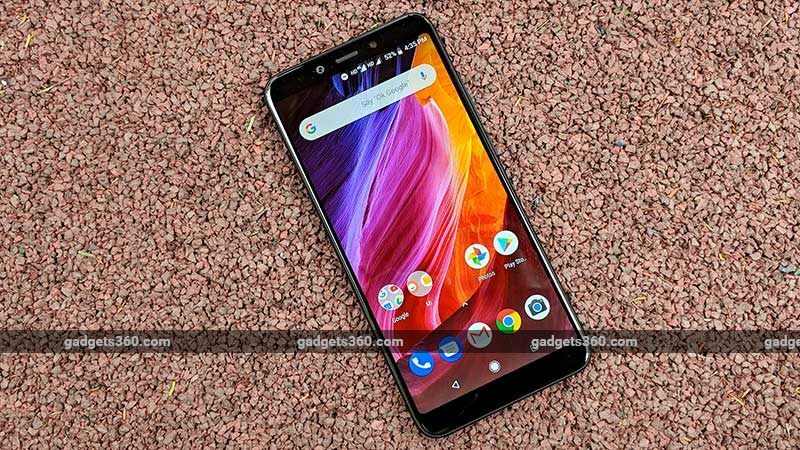 As we mentioned, Chinese electronics firm Xiaomi launched its second generation Android One smartphone – the Mi A2 – in India on Wednesday. The Xiaomi Mi A2 is the successor to the Mi A1, which as a part of Google’s Android One initiative was certified to feature an optimised stock Android experience and to receive timely updates. It is a variant of the Mi 6X, which launched with MIUI 9 earlier this year. Xiaomi has launched both the 4GB RAM/ 64GB storage and 6GB RAM/ 128GB storage variants in the country, however, the latter doesn’t yet have a price or exact release date yet. The Mi A2 price in India starts at Rs. 16,999 for the aforementioned base model in the country. 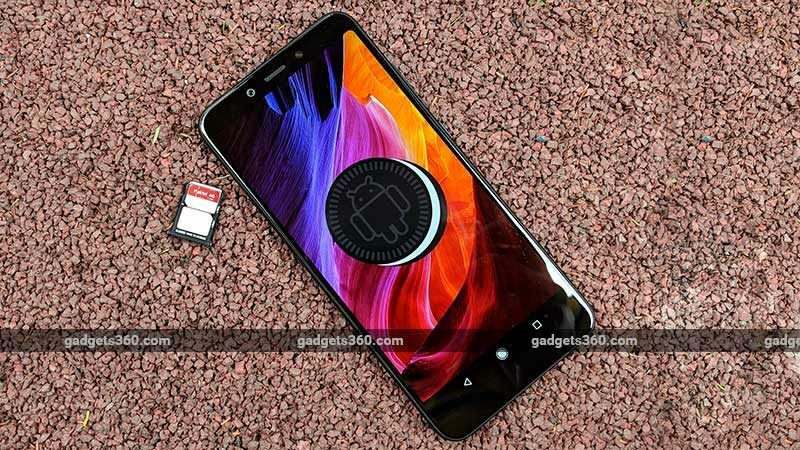 To recall, Gadgets 360 had reported ahead of the launch that for India, Xiaomi would be skipping the 4GB/ 32GB base model it had launched in Europe. The India variant also features a 3000mAh battery that supports Qualcomm Quick Charge 4+, rather than the 3010mAh battery with Quick Charge 3.0 support that the EU model came with. The Xiaomi Mi A2 is currently up for pre-orders in the country on Amazon India and Mi.com, and will go on sale on August 16 via the above-mentioned online sale channels, apart from Mi Home and Mi Preferred Partner Stores. The dual-SIM (Nano) Mi A2 runs stock Android 8.1 Oreo and sports a 5.99-inch full-HD+ (1080×2160 pixels) display with an 18:9 aspect ratio – protected by 2.5D curved Gorilla Glass 5. 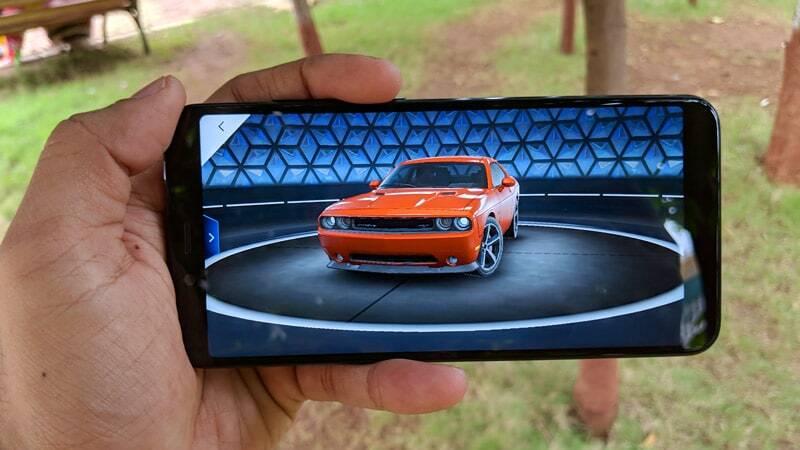 It is powered by a Snapdragon 660 SoC, and sports a dual rear camera setup, with a 12-megapixel primary sensor and a 20-megapixel secondary sensor. On the front, the Xiaomi Mi A2 has a 20-megapixel camera and a soft-light flash module. Notably, the smartphone sports a USB Type-C (v2.0) port, and Xiaomi has decided not to include a 3.5mm headphone jack. It features a fingerprint sensor on the rear panel. On Thursday, Samsung unveiled the Galaxy Note 9 at an event in Brooklyn, New York City. The latest phablet flagship from the company, the Galaxy Note 9 comes with an improved S Pen, a bigger 4,000mAh battery, and a massive 6.4-inch bezel-less display. The company has decided to go with a horizontal dual camera setup, and offers some top-end specifications – up to 8GB of RAM and 512GB of inbuilt storage. This is further expandable up to 1TB, with a 512GB microSD card. Samsung has also revealed the Galaxy Note 9’s price in India, which starts at Rs. 67,900 for the 6GB RAM/ 128GB inbuilt storage variant, and goes up to Rs. 84,900 for the 8GB RAM/ 512GB inbuilt storage variant. The smartphone is up for pre-orders in the country via Amazon, Flipkart, and Samsung’s online store, with pre-booking offers including a discount on the Gear Sport, cashbacks, and exchange discounts. Pre-orders last till August 21, which indicates that regular sales will begin the next day. Airtelhas also announced a contract plan for the smartphone, with a downpayment of Rs. 7,900. The dual-SIM (Nano, hybrid) Samsung Galaxy Note 9 runs Android 8.1 Oreo with the Samsung Experience UX – it bears a 6.4-inch Quad HD+ (1440×2960 pixels) Super AMOLED Infinity Display, and in India, it runs on the Samsung Exynos 9810 SoC instead of the Qualcomm Snapdragon 845 SoC that’s available in regions like the US. The rear dual camera setup is identical to the Galaxy S9+, apart from a change in orientation, featuring with a 12-megapixel wide-angle camera and a 12-megapixel telephoto lens. On the front too, the Galaxy Note 9’s identical to the Galaxy S9+, with a 8-megapixel autofocus camera. The company is touting features like a scene optimiser, flaw detection, HDR and live focus modes, and an AR Emoji feature. A fingerprint sensor sits below the rear cameras, and the smartphone supports wireless charging. The Galaxy Note 9 also has an AKG-tuned embedded street speaker, and features a Bluetooth-powered S Pen stylus with new features like remote control camera shutter and presentation control, amongst others. At the New York event, Samsung also launched the Galaxy Watch smartwatch, which runs its Tizen-based Wearable OS 4.0. It will be available in both Bluetooth and LTE variants, and two sizes – 42mm and 46mm. The company is touting up to 80 hours of battery life, MIL-STD-810 rating for durability, and an IP68-rating for dust and water resistance. The Galaxy Home – a smart speaker competitor to the Apple HomePod, Google Home, and Amazon Echo was also shown off. This week also saw several sales thanks to the occasion of India’s Independence Day next week. Apart from the usual suspects, Amazon and Flipkart, Chinese smartphone manufacturer Vivo also held its own sale, offering the Vivo Nex and the Vivo V9 for as little as Rs. 1,947 during a flash sale. The sale was from August 7 to August 9, and also offered discounts on its more affordable handsets, as well as offers on its accessories. The Amazon Freedom Sale lasts from August 9 to August 12. Top deals on the site included discounts on Huawei P20 Pro, Huawei P20 Lite, Honor 7X, Honor View 10, Samsung Galaxy Note 8, 10.or G, Sennheiser HD 4.50 SE wireless headphones, TCL 55-inch 4K smart LED TV, Sony 55-inch Bravia KD-55A1 4K OLED smart TV, Kindle Paperwhite Wi-Fi, Amazon Fire TV Stick, GoPro Hero action camera, GoPro Hero 5 action camera, JBL Cinema SB250 soundbar, Samsung 27-inch curved LED monitor, and the Acer Nitro AN515-51 gaming laptop. The Flipkart Big Freedom Sale, which is from August 10 to August 12, had several deals, including discounts on the Honor 7A, Google Pixel 2 (64GB), Honor 9 Lite, Honor 10, Honor 9i, Asus ZenFone Max Pro M1, ZenFone 5Z, Apple iPhone SE, Samsung Galaxy On6, Lenovo K8 Plus (3GB/32GB), Vivo V9, Oppo A83, LG G7+ ThinQ 128GB, Apple iPad (sixth-generation) 32GB with Wi-Fi, Lenovo Legion K200 gaming keyboard, Kodak XSMART 55-inch 4K smart LED TV, VU Iconium 55-inch 4K smart LED TV, Acer Predator Helios 300 15.6-inch gaming laptop, MSI GF Series 15.6-inch gaming laptop, Apple Watch Series 3 42mm with an aluminium case, Google Home Mini, Google Home, and Chromecast 2. Xiaomi’s Redmi Note 5 Pro, Mi TV 4, and Mi TV 4A had also gone up for sale on Flipkart, without flash sales. Things were unusually quiet on the telecom front this week, with only two major plans being launched. Airtel]( unveiled its new Rs. 399 postpaid plan that offers 20GB of additional data for a year. The plan features 20GB 3G/ 4G data per month, with data rollover support up to 200GB. It also offers unlimited local, STD, and roaming calls as well as 100 SMS messages per day for the entire billing cycle. Subscribers can avail the plan by visiting the official Airtel website or through the My Airtel app. State-owned telecom operator Bharat Sanchar Nigam Limited (BSNL) launched two new ‘Freedom Offer’ recharges ahead of Independence Day . The first is the Rs. 29 BSNL recharge for a week, which offers unlimited voice calls to any network (except Delhi and Mumbai), unlimited data, 100 SMS messages per day, and free PRBT (Personalised Ringback Tone). There is a data FUP to 2GB data per day, post which, speeds will drop to 80Kbps. The BSNL Rs. 9 recharge is a daily pack, with a validity of 1 day, and offers the same benefits as the BSNL Rs. 29 recharge. 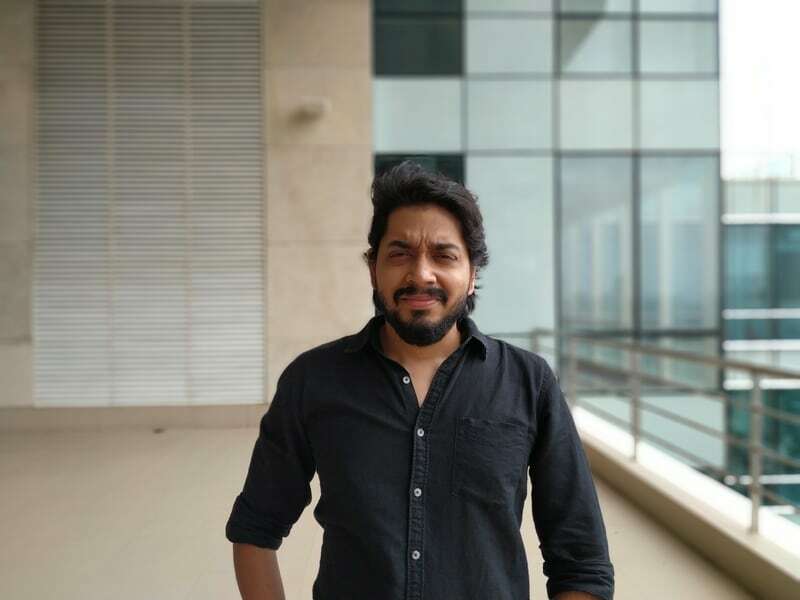 Apart from these two offers, it was learnt that DoT had sought views from telecom operators, Internet Service Providers Association of India (ISPAI), Cellular Operators Association of India (COAI), and others about blocking apps under Section 69A of the IT Act. COAI later in the week reacted to the plan, and said the government should look for “more effective” steps to curb fake news and maintain public order, saying blocking apps is very difficult and may hamper the routine of regular people. Later in the week, TRAI Chairman RS Sharma received a 2-year extension to his post, a day before his term was due to end. His tenure has been extended to September 30, 2020. Let’s get back to major mobile phone launches and announcements this week. HMD Global launched the Nokia 2.1 Android Go smartphone, and the Nokia 5.1 Android One smartphone in India this week. Alongside, it also launched the 3GB RAM/ 32GB storage variant of the Nokia 3.1 – to recall, the 2GB/ 16GB storage was launched last month. The Nokia 2.1 is priced at Rs. 6,999 in India for its lone 1GB RAM/ 8GB storage variant, while the Nokia 3.1’s 3GB RAM/ 32GB storage variant is priced at Rs. 11,999, and the Nokia 5.1’s lone 3GB RAM/ 32GB storage. Separately, HMD Global sent India launch invites on August 21. The company is expected to launch the Nokia 6.1 Plus, which is the global variant of the Nokia X6 that had been launched in China in May. The Honor Play was launched in China in June, and has now been launched in India. The smartphone’s 4GB RAM variant is priced at Rs. 19,999, while the 6GB RAM dxdvariant is priced at Rs. 23,999. Both went on sale in India on Monday itself, via Amazon India and the HiHonorStore. Xiaomi also teased the launch of a new Poco brand, which it claims will concentrate on innovation. The first model, expected to be called the Pocophone F1 as per previous leaks, in the new brand will be focused on speed. Samsung Galaxy On8, which was launched earlier this month, went on sale for the first time this week. The smartphone is priced at Rs. 16,990, and is available via Flipkart and Samsung’s own online store. In Samsung related news, the company this week cut the price of its Galaxy J7 Duo handset in the country for the second time since its launch. It is now priced at Rs. 12,990, down from its Rs. 16,990 launch price from April. To recall, the smartphone first saw a price cut to Rs. 13,990 earlier this month. The Huawei Nova 3i went on sale for the first time in India this week. The smartphone was launched in India last month alongside the Nova 3, and is now available to purchase via Amazon India. The Huawei Nova 3i price in India has been set at Rs. 20,990. Google this week release the stable version of Android P, called Android 9.0 Pie. The Mountain View firm released the latest version of Android for its Pixel devices, while Essential Phone also got its stable Android 9 Pie update on the same day. Separately, HMD Global announced the final build of Android P Developer Preview 5 (Beta 4) for the Nokia 7 Plus, its smartphone in the Android P Beta programme. HTC announced its list of smartphones that will be receiving the Android P update, as did Sony, and Vivo. Related to the launch of Android 9.0 Pie was news that Google will use its gesture based navigation feature as its default navigation method, and offer no onscreen navigation controls – though they will remain an option. Meizu this week launched its new flagship smartphones, the Meizu 16 and the Meizu 16 Plus. The Meizu 16 price starts at CNY 2,698 (roughly Rs. 27,100), while the Meizu 16 Plus price starts at CNY 3,198. Both smartphones run Flyme OS based on Android 8.0 Oreo, and feature 6-inch and a 6.5-inch Super AMOLED panels respectively. They are both powered by a Qualcomm Snapdragon 845, with up to 8GB of RAM, a dual rear camera setup with a 12-megapixel primary camera and a 20-megapixel secondary camera, apart from a 20-megapixel front camera. The smartphones also sport 3010mAh and 3640mAh batteries respectively, supports mCharge fast charge technology. OnePlus this week announced that it will fix a display flickering issue faced by OnePlus 6 users after updating to OxygenOS 5.1.8, with the next update for the smartphone. The issue was seen when adaptive brightness was turned on. Qualcomm this week launched the Snapdragon 670 SoC that comes as the successor to the Snapdragon 660 SoC. It bears two high performance Kryo 360 CPUs clocked at 2GHz and six efficiency cores of up to 1.7GHz. The SoC also has Adreno 615 GPU and the Spectra 250 ISP that supports up to 25-megapixel resolution for single camera sensors and 16-megapixel for dual camera sensors. There were several major leaks this week, including the Oppo F9 Pro specifications leak. The Oppo F9 Pro is set to launch in India on August 21, and it is said to a variant of the Oppo F9 – which this week got listed on the company’s official Vietnam site. The Nokia 5.1 Plus received its Bluetooth SIG certification, which implies an imminent launch. The smartphone expected to be the global variant of the Nokia X5, similar to how the Nokia 6.1 Plus is the global variant of the Nokia X6. The Google Pixel 3 XL also made its way into the leaks this week, with multiple little reveals that showed the smartphone from all sides, and tipped a 6.7-inch QHD+ display, Snapdragon 845 SoC, 4GB of RAM, a 3,430mAh battery, a 12.2-megapixel rear camera, and an 8.1-megapixel front camera. Wireless charging capabilities were also tipped. The much-anticipated iPhone trio that is due to launch this September was this week leaked into hands-on videos, as well as what appears to be an advertorial leak, tipping that they will be called the iPhone XS, iPhone XS Plus, and iPhone 9. Both the ‘X’ models are said to sport dual rear camera setups, while the iPhone 9 is said to sport a single camera setup. All three smartphones feature display notches, though of course, the cheaper iPhone 9 is expected to come with a 6.1-inch LCD display instead of the 5.8-inch and 6.5-inch OLED displays that the iPhone XS and iPhone XS Pus are expected to sport respectively. This week, Xiaomi launched the Mi Sports Bluetooth Headset Youth Edition in China, priced at just CNY 99 (roughly Rs. 1,000). Available in both Black and White colour variants, the headset has a 120mAh battery and weighs in at 13.6 grams. Microsoft this week launched the Surface Book 2 and Surface Laptop in India. Both models were originally unveiled globally in 2017, and run the Windows 10 in S Mode. The price of the Surface Book 2 in India starts at Rs. 1,37,999, and that of the Surface Laptop begins at Rs. 86,999. Asus launched new variants of its TUF Gaming FX504 gaming laptop in India, featuring up to Nvidia GeForce GTX 1060 graphics. The price in India of the new Asus TUG Gaming FX504 model with is set at Rs. 84,990 for the 8th gen Intel Core i5 variant and Rs. 95,990 for the 8th gen Intel Core i7 model. There is a new model that comes with GTX 1050 that is priced at Rs. 63,990. Samsung this week also launched the Galaxy Tab A 10.5 in its LTE variant, priced a Rs. 29,990. It features a 10.5-inch display, quad speakers powered by Dolby Atmos, and a 7,300mAh battery that promises up to 14.5 hours of video playback. In other news this week, WhatsApp officially completed the rollout of its newly instated forward messaging limits in India, in a bid to curb fake news – something the company has been battling in country, with the messaging service seen to be used as a conduit to propagate mass violence. The limit earlier this week made it to iPhone users. The Facebook-owned messaging service also began testing a revamped reporting layout for Android beta users, giving users more options to deal with unwanted messages. The company’s new Report dialogue now contains the option to directly block the reported party, and delete all messages from the contact. The same feature extends to when users are reporting groups. The feature is being tested in Android beta v2.18.246, and can be expected to make its way to stable Android and iPhone versions after testing is complete. Fortnite – the outrageously popular game from Epic Games that is available on iPhone, PS4, Xbox One, Switch, and PC – this week finally made its way to Android. After revealing last week that the game would not be made available via Google Play, Epic Games this week made the closed Android beta of the app available, starting exclusively for Samsung Galaxy users – something it announced at the Galaxy Note 9 launch event. The exclusivity has expired already, and users of other eligible smartphones can now install the game – though they still need the invite to play it. Popular football simulator franchise, Konami’s Pro Evolution Soccer (PES), released the demo of its latest instalment – PES 2019. We reviewed the demo, and found it showed the franchise was leaning back towards realism, lacked all the right tools as it makes those steps. We do however look forward to seeing how the other aspects of the game – those not available in the demo – stack up. Flipkart’s acquisition by Walmart received the approval of Competition Commission of India (CCI) this week. 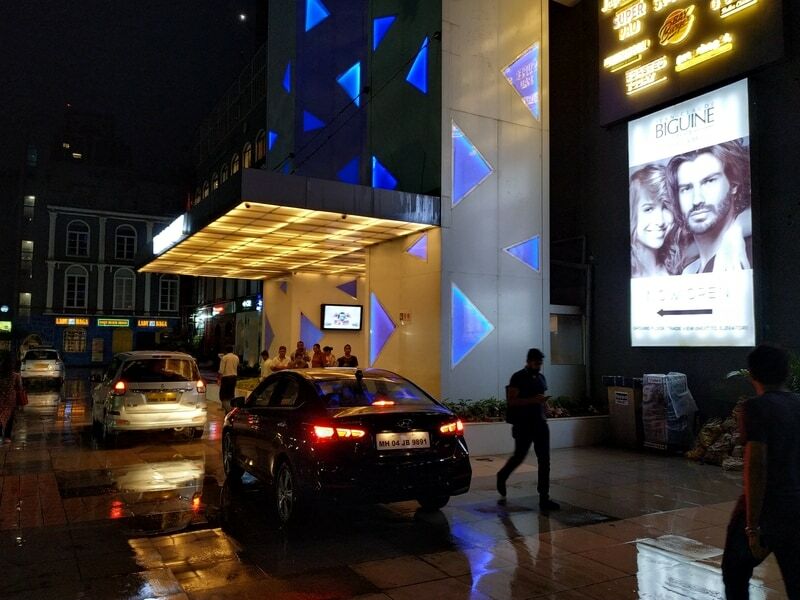 The move was opposed by the Confederation of All India Traders (CAIT), which said the acquisition would create unfair competition and drive local convenience stores out of business. CAIT said it would move the court against CCI’s decision. 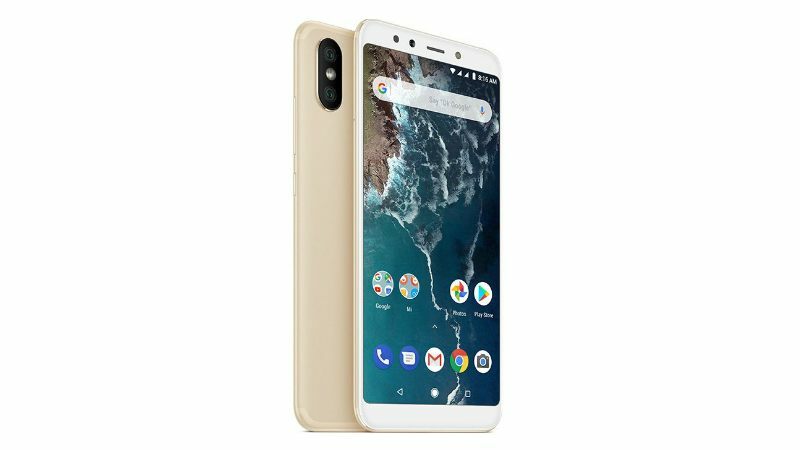 Xiaomi has launched the Mi A2 as its second Android One phone in India. Google originally started the Android One programme to deliver the stock Android experience on entry-level handsets in developing markets. However, there were no new products in India after the initial launches from Karbonn, Micromax and Spice. Google later revived Android One in 2017 to offer users smartphones running stock Android without any manufacturer customisations. The first of these in India was the Xiaomi Mi A1 (Review) which launched last year. More manufacturers have enrolled into the program since then, but very few devices have made it to India. Nokia, an HMD Global brand, was the first to announce that its entire Android lineup would adopt Android One and all the smartphones that it announced at MWC 2018 have now launched in India. The new Mi A2 promises better hardware while still running bone-stock Android. So should the Xiaomi Mi A2 be the first choice for an Android purist on a budget? We put it to the test. The Mi A2 is a well-designed smartphone. It has a metal unibody that gives it a premium feel in the hand. The first change you will notice compared to the Mi A1 is that it has a big 5.99-inch display with an 18:9 aspect ratio, which makes the phone tall and narrow. The sides are curved which makes it comfortable in the hand. Our Black review unit had a matte finish which resisted fingerprints to some extent. This phone is quite slippery and we would recommend that you put the case supplied in the box to use. The power and volume buttons are on the right and offer good feedback when pressed. We found that the power button is well placed, but the volume buttons are a little too high for our liking. Xiaomi has positioned the selfie camera, earpiece, selfie light and a notification light above the display while the space below it is blank. For those curious, this smartphone has a single-colour notification LED. 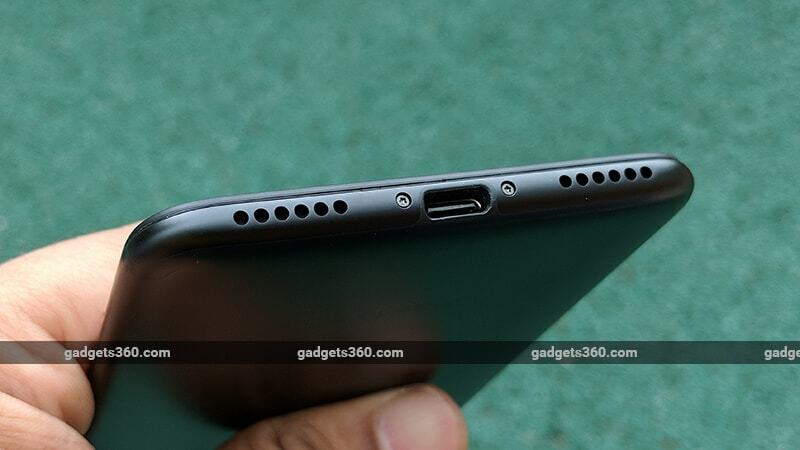 The USB Type-C port at the bottom has speaker grilles on either side but only the right one houses a loudspeaker. An IR emitter that can be used to control IR-based appliance is at the top along with the secondary microphone. There is no 3.5mm headphone jack so you get a USB Type-C dongle in the box. Xiaomi claims that it has used a high-quality amplifier to improve audio output from the speaker and headphones. Xiaomi has opted for a dual camera setup at the back, which is now positioned vertically compared to the horizontal setup on the Mi A1. There’s a 12-megapixel primary camera, a 20-megapixel secondary sensor, and an LED flash. This camera module protrudes quite a bit causing the Mi A2 to rock when placed on a flat surface. The fingerprint scanner is next to the camera module, at the natural resting position of either index finger. Xiaomi has opted for a 3000mAh battery to power the Mi A2. The Chinese smartphone maker has chosen the Qualcomm Snapdragon 660 processor to power the Mi A2. It has eight Kryo 260 CPU cores and an Adreno 512 GPU. The A2 has 4GB of RAM and 64GB of internal storage. Sadly storage isn’t expandable unlike the Mi A1, and you will need to make do with the storage you get. This is a dual-SIM smartphone and has two Nano-SIM slots. There is support for 4Gand VoLTE on both SIMs. The 5.99-inch display sports a full-HD+ resolution, has a pixel density of 403ppi, and uses Corning Gorilla Glass 5 for protection. Viewing angles are decent but the display does not get very bright. You don’t get the option to tweak the output. The Ambient Display feature wakes the phone when you get a notification. At 3000mAh, the battery capacity is lower than what most other smartphones in this segment offer. The Xiaomi Redmi Note 5 (Review) for example packs in a bigger 4000mAh battery. The Mi A2 supports Qualcomm’s Quick Charge 4+ but you only get a standard 10W charger in the box. Connectivity options on the Mi A2 include Bluetooth 5.0, dual-band Wi-Fi 802.11ac, GPS, A-GPS, GLONASS, and Beidou. Xiaomi has focused on the cameras of the Mi A2. The 12-megapixel primary rear camera has 1.25-micron pixels and an f/1.75 aperture. The secondary 20-megapixel camera uses 4-in-1 pixel binning with bigger 2-micron pixels and an f/1.75 aperture. Unlike the Mi A1 which had zoom lens for 2X optical zoom with the secondary camera, the one on the Mi A2 should help in low light instead. The Xiaomi Mi A2 runs stock Android 8.1 Oreo, and Xiaomi has added its Feedback, File Manager, and Mi Drop apps on top. While the Feedback app cannot be disabled or uninstalled, you can go ahead and uninstall the other two. The camera app has also been customised by Xiaomi and is different from the default Android app – more on that in a bit. Of course, this phone also has gets Google apps preinstalled. When we started reviewing the phone it was running the June security patch but we got a software update during the course of the review bringing us up to date with the August security patch. If you are an Android purist, you will like the software experience on the Mi A2. It has an app drawer, and you need to swipe up to see all your installed apps. You also get Google Feed by swiping right from the homescreen and summon the Google Assistant by long-pressing the home button. We found that the phone lacks an app to let you use the IR emitter, which means that you cannot start controlling appliances right out of the box. You can download the Mi Remote app from the Play Store, but Xiaomi told Gadgets 360 that it will be rolling out an update after which the app will be preinstalled. The only gesture the Mi A2 supports is that double-clicking the power button will immediately launch the camera app. We have used the Nokia 7 Plus (Review), which has the same processor as the Xiaomi Mi A2, and was also running stock Android. The Xiaomi Mi A2 offers similar performance and we found no lag or stutter when flipping through the phone’s UI and multitasking. With 4GB of RAM, you should be able to multitask easily without the phone automatically killing apps in the background. The fingerprint scanner is quite fast and was quick to unlock the phone. The Xiaomi Mi A2 scored 1,33,467 in AnTuTu, and 1,645 and 4,840 in Geekbench 4’s single-core and multi-core tests respectively. These scores are slightly lower on average than those of the Nokia 7 Plus, which managed 1,37,573, 1,590 and 5,780 respectively. The Mi A2 also got 24,850 in 3DMark Slingshot Unlimited and 14fps in GFXBench Manhattan 3.1. We played games such as PUBG, Clash Royale, and Asphalt 9. PUBG ran at medium settings by default and we did not have any issues with performance. We played the game for 25 minutes, surviving an entire round, and found that the phone did get warm to the touch without getting uncomfortably hot. Asphalt 9 ran at the default settings without any hiccups either. In our HD video loop test, the smartphone ran for 8 hours and 13 minutes, which is below average. We have seen the Xiaomi Redmi Note 5 Pro (Review) and the Redmi Note 5 last for close to 16 hours thanks to their bigger batteries. With our usage comprising of active WhatsApp and Gmail accounts, an hour worth of games, some time with Instagram, and making a few calls, the battery saver mode kicked in after 7 and 30 minutes. If your usage is similar, you will need to keep the charger handy. The supplied charger takes close to 2 hours to charge the Mi A2 completely but so should invest in a Qualcomm Quick Charge certified charger to speed that up. 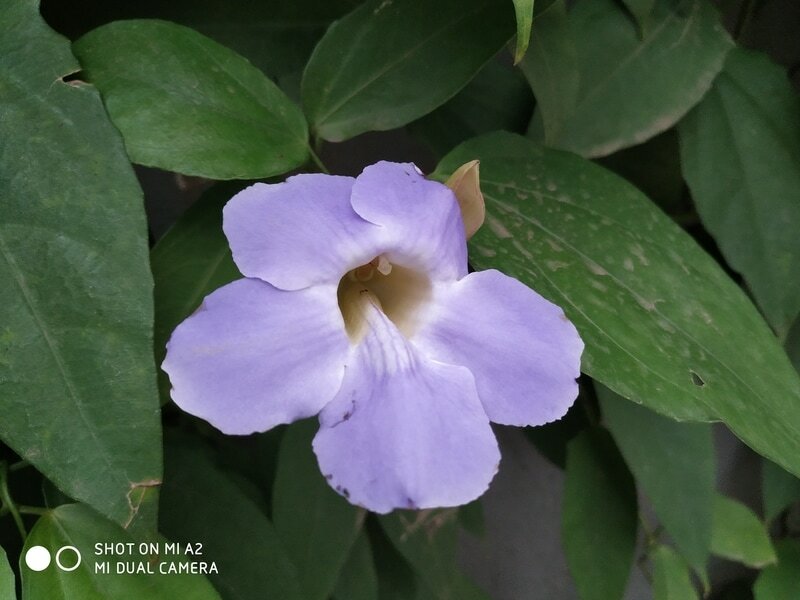 Xiaomi has worked on its camera app and it is different from the stock Android camera. You get Short Video, Portrait, Square, Panorama, and a Manual mode, apart from the usual Photo and Video modes. The Manual mode lets you set white balance, focus, shutter speed and ISO, and also lets you choose between the ‘regular’ and ‘low light’ lenses. Xiaomi claims that it has tweaked the Portrait mode such that it uses the 12-megapixel camera in favourable light conditions but switches to the 20-megapixel camera in low light, but we found that this did not actually happen. While one lens is in use, the other acts as a depth sensor. The Mi A2 is fairly quick to meter light and lock focus. 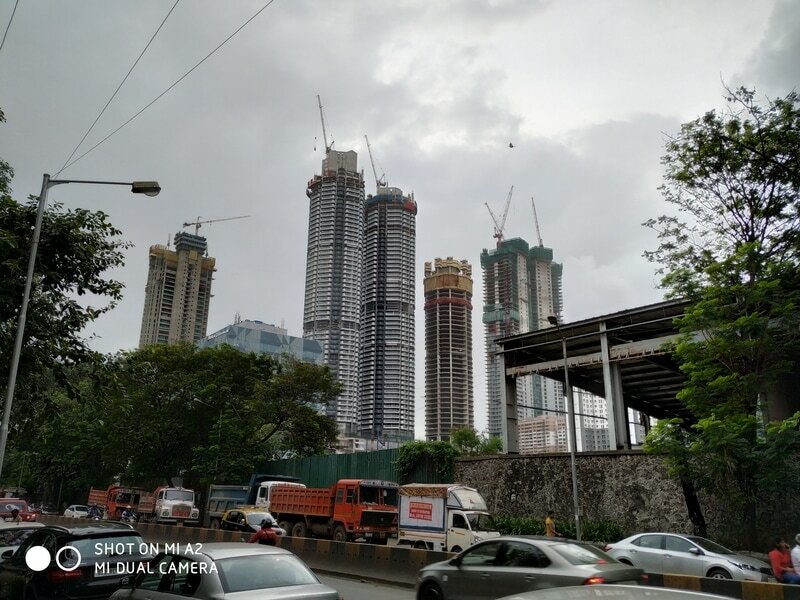 Photos taken with the Mi A2 outdoors have a good amount of detail and colours are quite accurate. Zoom into an image and you can still see details without much loss. We noticed that the camera app also switched HDR on automatically when the scene required it, bringing out more details from the shadows and delivering slightly sharper results. Autofocusing is quick when taking macros and we found that the Mi A2 could focus on relatively small objects. Macros were sharp and the phone managed good separation between the subject and the background. In low light, the Mi A2 bumps the ISO up and lowers the shutter speed to help the primary camera capture more light, instead of switching to the secondary one. Xiaomi should have taken advantage of the better sensor for low-light shots by switching automatically, but you can do this yourself in Manual mode. These photos also have decent amounts of detail but we noticed aggressive noise reduction being applied in darker areas, leading to a watercolour effect when zooming in. Selfies are detailed and we got sharp results when shooting indoors. The selfie fill light comes in handy when shooting in low-lit conditions. HDR is available for the selfie camera and kicks in automatically when required. You can also select the level of beautification you need, and an Advanced mode which lets you tweak different beautification parameters. Video recording on the Xiaomi Mi A2 maxes out at 4K for the primary camera and 1080p for the selfie camera. You also get the option to shoot in 1080p at 60fps rather than 30fps with the rear camera, but we found that it had difficulty locking focus at the higher frame rate. Video stabilisation is available for the rear camera, and helps you capture steady footage. The Xiaomi Mi A1 (Review) was an obvious choice for anyone looking for stock Android on a budget. Things however have changed, with HMD Global bringing in Nokia handsets that run pure stock Android as well. Xiaomi will have to compete on pricing, and that’s exactly what it has done with this launch. The Xiaomi Mi A2 gets the cameras right and is amongst the best camera phones at this price point. Also, the powerful Snapdragon 660 processor has so far been restricted to more expensive phones, making this phone a tempting option for someone looking for a performer on a budget. Xiaomi has priced the Mi A2 at Rs. 16,999 which is quite aggressive for the hardware it offers. However, there are a few chinks in the Mi A2’s armour. Its battery capacity is below average, resulting in relatively poor battery life. Xiaomi has also ditched the 3.5mm headphone jack and there’s no microSD card slot, which are both things that buyers look for. If you can’t do without stock Android and want good cameras without paying too much, then the Mi A2 should check all your boxes. If you’re okay with MIUI, the Xiaomi Redmi Note 5 Pro (Review) is still a good alternative at a slightly lower price. You might also want to keep an eye on the upcoming Honor Play. Is Xiaomi Mi A2 the best Android One smartphone in India? We discussed this on Orbital, our weekly technology podcast, which you can subscribe to via Apple Podcasts or RSS, download the episode, or just hit the play button below. The Xiaomi Mi A2 India launch is scheduled for 4pm IST, and there will be a live stream. However, the link is not yet live, and we will update this story as and when it becomes available. 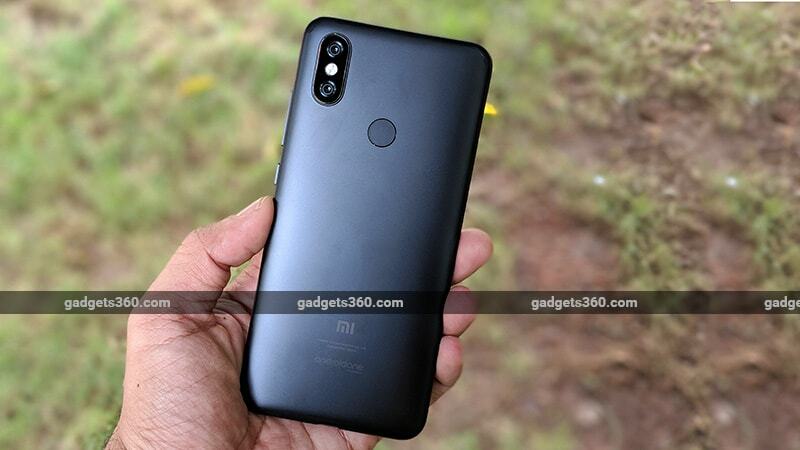 Xiaomi fans looking forward to the Mi A2 launch in India can register for the live stream on the official site and 100 of these registrants will win F-codes for the handset. As mentioned above, the Mi A2 price in India is not yet known. The smartphone was unveiled with price tag of EUR 279 (about Rs. 22,500) for the 4GB RAM + 64GB storage variant and EUR 349 (about Rs. 28,000) for the 6GB RAM + 128GB storage option. While the former is confirmed to launch in India at tomorrow’s event, the company was said to be still deliberating on the latter. ALSO SEEXiaomi Mi A2 vs Mi A2 Lite: What’s Different? As for the specifications, the dual-SIM (Nano) Xiaomi Mi A2 runs an optimised stock version of Android 8.1 Oreo, certified by Google’s Android One programme, and sports a 5.99-inch full-HD+ (1080×2160 pixels) display with a 18:9 aspect ratio, 2.5D curved glass, and Gorilla Glass 5. It is powered by an octa-core Qualcomm Snapdragon 660 SoC, paired with an Adreno 512 GPU. In the camera department, the handset sports a dual rear camera setup. It consists of a 12-megapixel Sony IMX486 with f/1.75 aperture and 1.25-micron pixels, and a 20-megapixel secondary Sony IMX376 sensor with f/1.75 aperture and a 2-micron 4-in-1 Super Pixel size. The rear camera setup comes with dual-tone LED flash and PDAF. On the front, the handset gets a 20-megapixel Sony IMX376 selfie camera with f/1.75 aperture, fixed focal length, and a soft-LED flash. There is a 3,010mAh battery under the hood, and the India variant will come with Quick Charge 4 for fast-charging support. In terms of connectivity, the smartphone includes 4G LTE, Bluetooth v5.0, dual-band Wi-Fi 802.11ac, Miracast, an IR emitter, and USB Type-C. There is no 3.5mm headphone jack on the Xiaomi Mi A2. Sensors on the handset include accelerometer, ambient light sensor, gyroscope, and proximity sensor. Xiaomi Mi A2 is expected to make an appearance at the company’s global event in Madrid, Spain on July 24. A recent development reveals that the Mi A2 Lite will also accompany the regular Mi A2 on its trip to the European country. Both upcoming mid-range Xiaomi smartphones have been spotted on a Polish retail website. The listings reveal certain specifications and design rengers of both the handsets. Let’s have a look at what we can expect at the July 24 launch event. 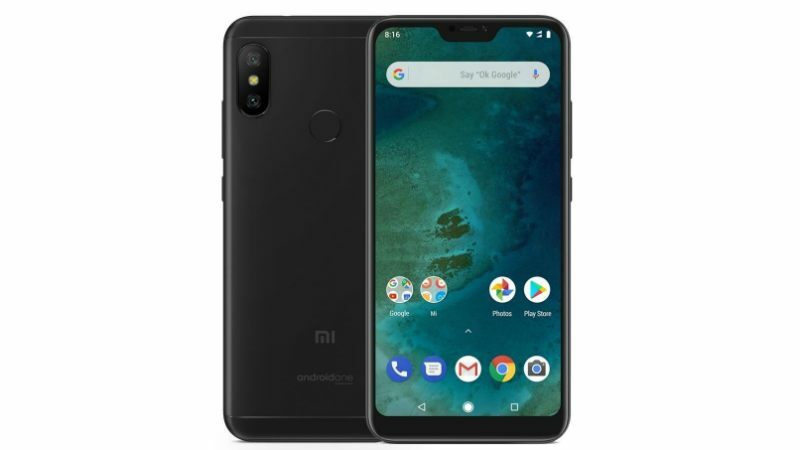 In a couple of listings on Polish online retailer X-Com’s portal, the Xiaomi Mi A2 and Mi A2 Lite have been listed. While the images from these listings seem to have been taken down, Slashleaks has obtained the renders. The most interesting part of this leak is the design of the supposed Mi A2 Lite resembles that of the Redmi 6 Pro. Both smartphones appear to have the same-sized display notch, a 5.84-inch 19:9 display, and similar antenna placing on the back panel. Other specifications such as a 4,000mAh battery, Snapdragon 625 SoC, 4GB RAM, and 64GB inbuilt storage also match. The Slashleaks post suggests that the Mi A2 Lite will sport a vertically stacked 12-megapixel + 5-megapixel camera combo on the back, and a 5-megapixel selfie camera. The back panel, in the render, has Android One branding. It thus appears that the Xiaomi Mi A2 Lite might just be a rebranded Android One variant of the Redmi 6 Pro. As for the listings procured from Poland, both the 32GB variant of the Mi A2 and the 64GB variant of the Mi A2 Lite have been given the same price tag of PLN 999 which roughly translates to about Rs. 18,400.